Theme cruises are nothing new and generally focus on food, wine, photography and other hobbies and interests. But now comes what is touted as the first-ever theme cruise devoted to tattoos. 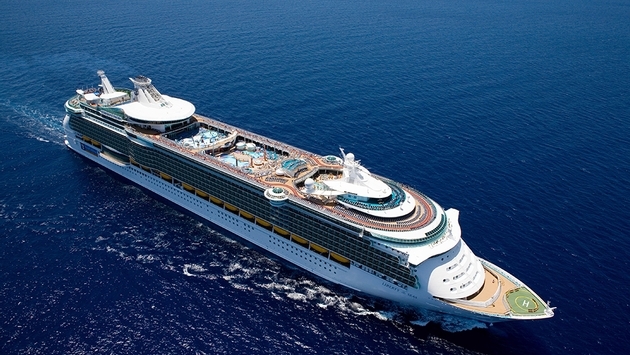 The cleverly named “Ink or Swim” tattoo-themed voyage is scheduled for April 16-20 on Royal Caribbean International’s Liberty of the Seas from Fort Lauderdale. It is produced by tattoo magazine Rebel Ink and photographer Dan Howell, along with Landry & Kling, a well-known Miami company that organizes group, charter and incentive cruises. “From new reality shows to a growing celebrity status among tattoo artists, the ink culture in this country has grown significantly, with recent polls suggesting nearly 20 percent of Americans have a least one tattoo,” said Paul Gambino, editor-in-chief of Rebel Ink. The cruise will feature tattoo artists, burlesque shows, tattoo contests, complimentary photo shoots and a private beach party in Cozumel. Tattoo artists already confirmed to attend include Tatu Baby, a favorite of Spike TV’s “Ink Master”; Sarah Miller, owner of Wyld Child Tattoo Shop in Pittsburgh; Mark Longenecker, owner of Endless Summer Tattoo in Cocoa Beach, Fla.; Amy Nicoletto, who gained fame on “LA Inc” alongside Kat Von D; and Chris Torres, who recently opened Red Legged Devils in Brooklyn, N.Y.
Rates begin at $970 per person, double occupancy — and include a $100 credit toward an onboard tattoo.